Departing from Madrid on May 13, 2020. Custom-built by Tauck's long-time partner Scylla to accommodate no more than 84 guests within an innovative deck plan featuring 12 300-sq. ft. Tauck Suites and 20 225-sq. 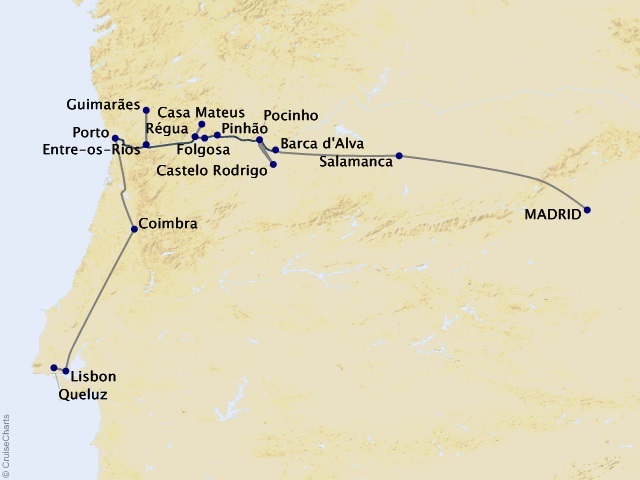 ft. cabins, this brand-new 80-meter (263-foot) riverboat is specifically designed for cruising amidst the historic quintas and picturesque villages along Portugal's golden Douro River. A choice of excursions that include active hikes, a port cocktail-making class, a tour of wine caves, bicycle rides and more valued at $3,156!